Only the British would think it a good idea to make a game about queuing, and only the British understand the concept of queuing well enough to make the game enjoyable. Space Hulk is that game, a 1980s turn-based tactical boardgame set in the Warhammer 40k Universe which pits small squads of Space Marines, known as Terminators, against a ceaseless horde of Tyranids called Genestealers, in the claustrophobic corridors of an enormous spaceship. In boardgame circles, Space Hulk has become something of a legend, both because of how it revolutionised turn-based strategy by stripping it down to a lean, mean and furiously fast ruleset, and also because it's more difficult to get hold of than a soapy dolphin. A second-hand box will set you back £90 on Ebay. Double that if you buy it new, assuming you can find a copy. 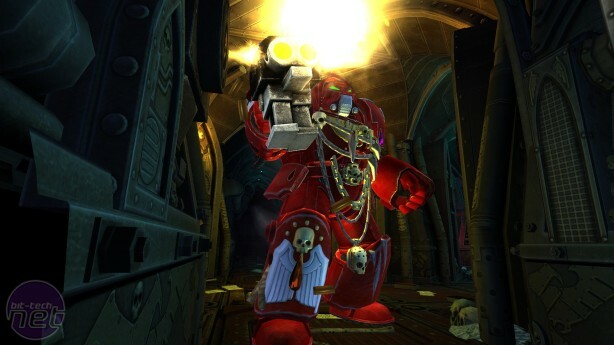 Now, however, developers Full Control Studios have recreated this classic in computerised form, allowing every man and his Ork to give it a try. But how does this virtual rendition stack up? ("stack" being very much the operative word). Well, it's a pretty faithful recreation of the boardgame's ruleset, but there are aspects to it that fans of the boardgame will likely find unappealing, and a few really dumb features that will frustrate almost everyone. It also needs to be played with a friend to get the most out of it. 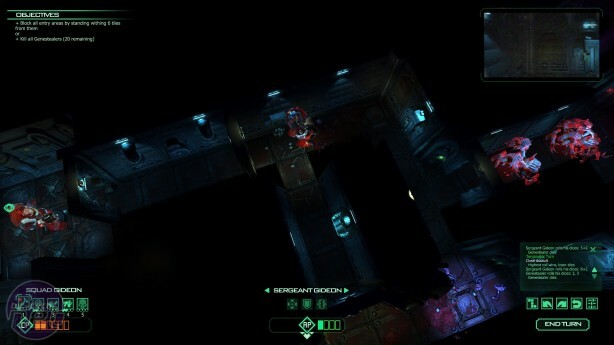 To summarise how the game works, each mission gives the Terminators an objective to complete, which is usually either to reach a certain point on the map, or kill a specified number of genestealers. All the genestealers need to do is stop the Terminators from doing this. Each Terminator has a set number of "action-points" per turn that enable them to move, turn, shoot and perform other actions. 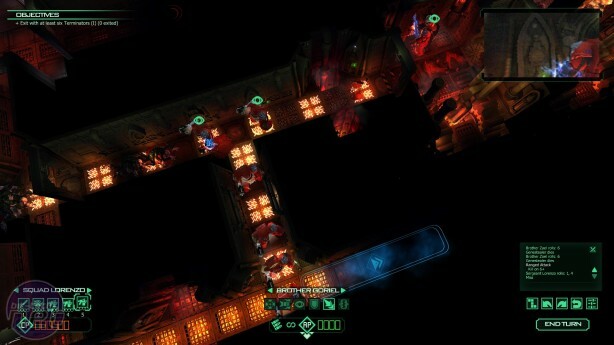 In addition, each turn the Terminators get access to an additional, randomised number of action points (up to a maximum of six) that can be used by any unit. For the Terminators, it's all about maximising usage of these points, and covering the angles of the ship's tight spaces as best you can, using their long-range weaponry. Moving backwards, for example, costs twice as many points as moving forwards, so any Terminators you order to cover your rear or flanks risks being separated from the rest of the squad. It's a very simple, minimalist game, but it makes every tiny decision agonising. Even something as simple as moving forward four steps rather than three can spell disaster in the right circumstances. The Genestealers, on the other hand, receive new units every turn but can only make close-range melee attacks. They can move in large groups of units under the guise of "Blips" which show up the location of the Genestealers, but keep their numbers concealed until a Terminator has direct line of sight, or the Genestalers choose to reveal their location. They also have more action-points per unit, but don't have a general pool of points to dip into. Attack success is based off dice-rolls, and are displayed in a tiny box on the bottom right corner of the screen that is far too easy to miss and needs to be more obvious. If you hit-successfully, the Terminator/Genestealer you're attacking is instantly killed. Ideally, the Terminators want to keep the Genestealers as far away from them as possible, which is largely done using the Overwatch command, allowing the Terminator to shoot at the Genestealer for every move the Genestealer makes.